Robin, here, to share this quick card I made for you. I used this stamp set, PS003 Just A Note. 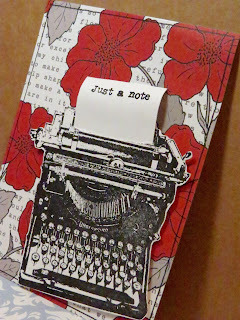 I stamped the typewriter on a piece of white yardstick and cut it out. Then, I cut a slit where a piece of paper would be placed in the typewriter. 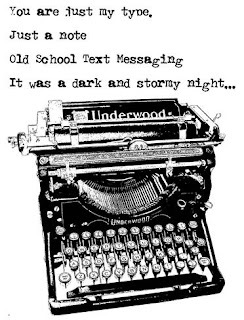 Finally, I stamped the words on a little piece of paper and slid it into the typewriter. 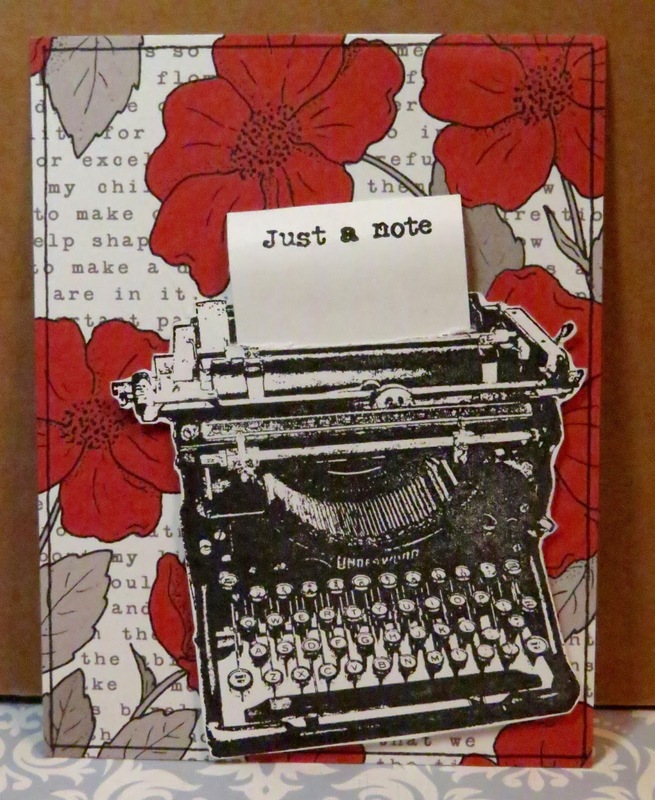 I mounted it with Foam Squares on this paper I thought went PERFECT with the typewriter.